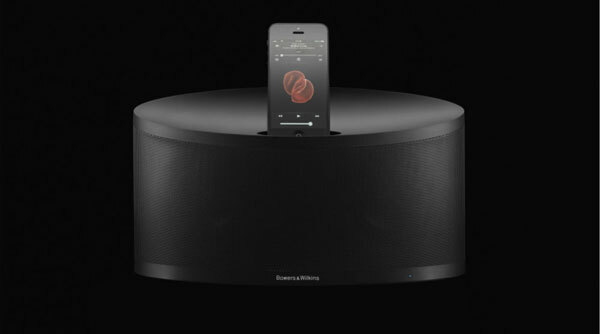 B&W LOUDSPEAKERS has released a new compact wireless speaker system called the Z2. It looks exactly like a Zeppelin Mini that’s been given the black out (or white out) treatment, which can’t be a bad thing considering how good the little Zep Mini was (check out Ashley Kramer’s review here). In an interesting move, B&W has decided that the dock isn’t quite dead, as yet, so the Z2 has a Lightning-equipped dock for the latest generation of Apple devices. However, in a nod to the wonderful wireless world, the Z2 supports AirPlay, so it’s capable of wireless streaming in addition to docked playback. There’s even a B&W Control App to allow users to set up the Z2 without messing around with cables and manuals. The Z2 is powered by two 20-watt Class D amplifiers and uses two 3.5-inch full range glass fibre drivers in an ABS chassis that’s vented by one of B&W’s ‘Flowport’ reflex ports. One of our reviewers is a big fan of B&W’s wireless speaker systems, so we’ll try to get a review unit in the near future. Local pricing and availability is still TBC.